Widely considered a European and Australian sport, Rugby has been around Lehigh Valley longer than many may realize. On June 6, four decades of the sport will be celebrated during Lehigh Valley Rugby Football Clubs’ (LVRFC) 40th Annual Summer 7s: The Sequel at Monocacy Park, 1554 Schoenersville Road, Bethlehem, Pa.
More than 28 teams are expected to participate in the men’s and women’s divisions, according to LVRFC spokesman Brett Briggs. The Lehigh Valley Rugby Football Club is a non-profit corporation. Founded in 1998, LVRFC represents men&apos;s and women&apos;s rugby in the Lehigh Valley and surrounding areas. The Club also takes an oversight role for the high school and youth teams. 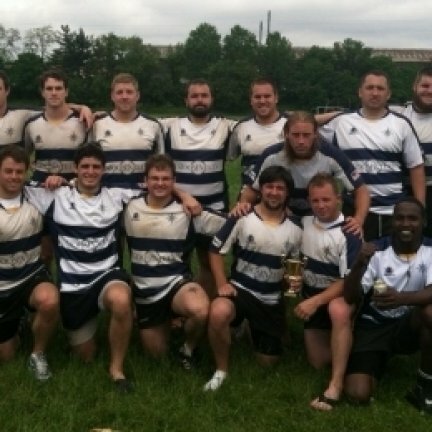 The men&apos;s team are full members of the Eastern Pennsylvania Rugby Union. The LVRFC teams are also members territorially through the Mid-Atlantic Rugby Football Union and nationally through USA Rugby. While LVRFC has not been in existence for 40 years, this particular tournament first got its start in the 1970s by local rugby enthusiasts. Registration is still currently open for prospective teams on LVRFC’s website: www.pitchero.com/clubs/lehighvalleyrugbyfootballclub. Discover Lehigh Valley is the designated destination marketing organization (DMO) of Lehigh and Northampton counties. Its mission is to promote and develop Lehigh Valley as a leisure and business travel destination. Created in 1984, Discover Lehigh Valley assists in promoting regional tourism, an industry that generates $1.857 billion in annual revenue and accounts for more than 22,000 jobs in Lehigh Valley. For more information on Discover Lehigh Valley and its activities or to request a Lehigh Valley Official Visitors Guide, call (800) MEET-HERE, or visit the official tourism website of Lehigh Valley at DiscoverLehighValley.com.